Newborough beach is a firm favourite of our family. Situated in Anglesey, Newborough is a sandy beach backed with a forest and extensive sand dunes. This beach is great for families, has public toilets with baby changing facilities and also many picnic tables. 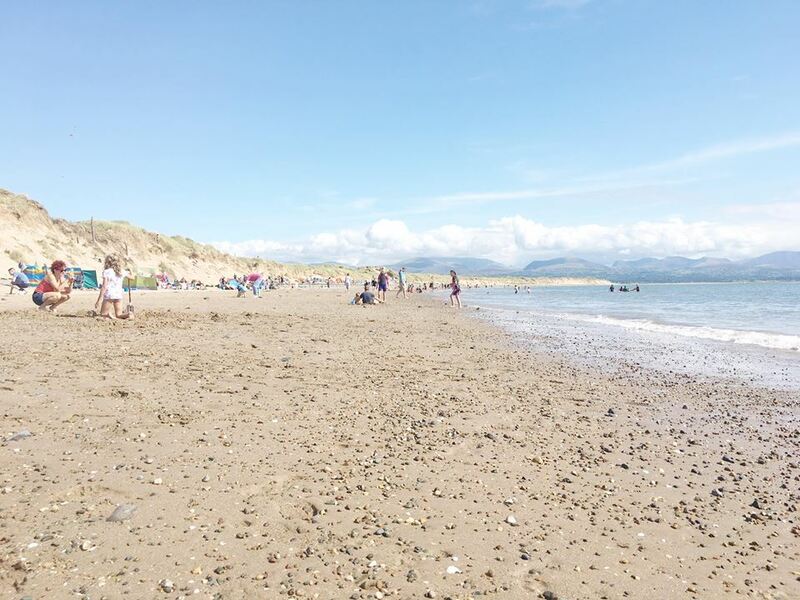 There is a £4 car parking fee however it is definitely worth it as this is a lovely beach with breathtaking views of Snowdonia and is very spacious. The forest and nature reserve are great for the kids to explore or keep cool on hot days. 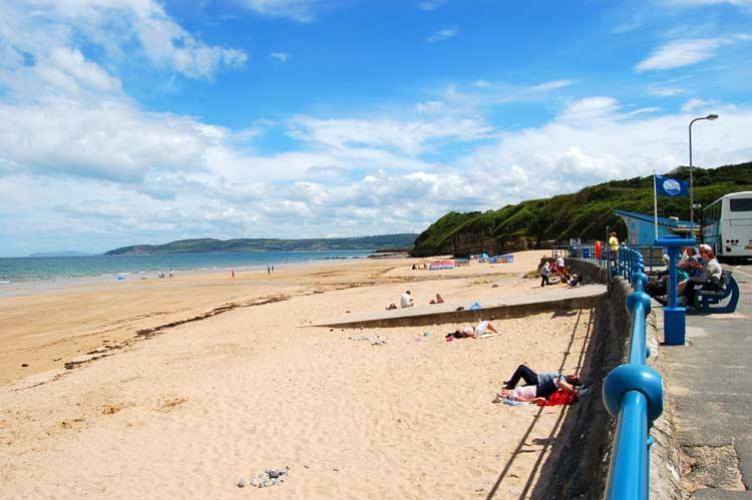 Benllech is a sandy beach with plenty of rock pools on the East coast of Anglesey. It's great for swimming on warmer days, windsurfing and sea fishing. Again there are toilet facilities near by shops and cafes as well This is a popular beach with many locals and tourists as it is easily accessible for families with buggys. Many families take to the beach in the summer as it is spacious and the beach gets split into two parts so dogs are allowed on the beach away from children. The sand is great for digging and making sandcastles. Black Rock Sands is a two mile long sandy open wide beach with fine sands. 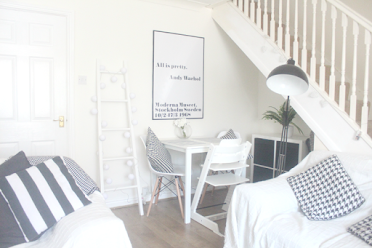 Situated at Morfa Bychan just two miles from Porthmadog. Unusually you can drive onto this beach which makes it so popular with locals and tourists especially in the summer. After all, who wants to be lugging bags of stuff to and from the car. 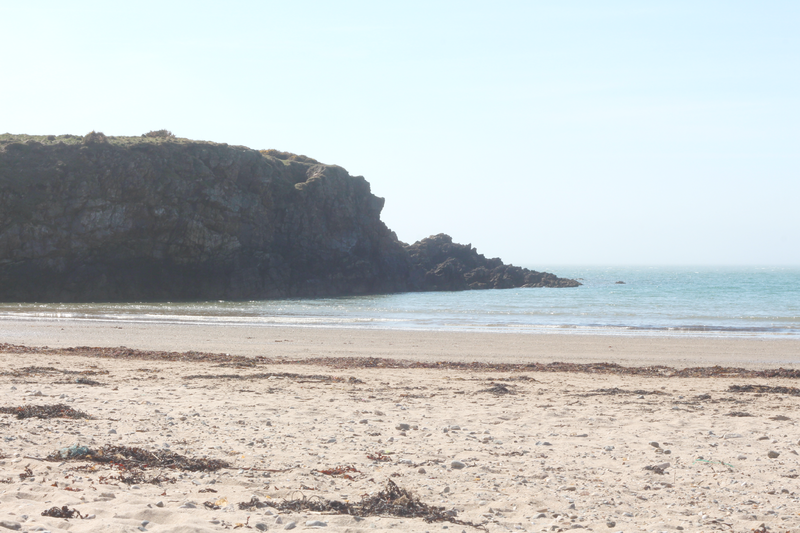 The sea on this beach is shallow making it ideal for families with small children for paddling. It's also popular for windsurfers, kites and boats. It is a popular picnic destination and provides easy access for those with mobility scooters. 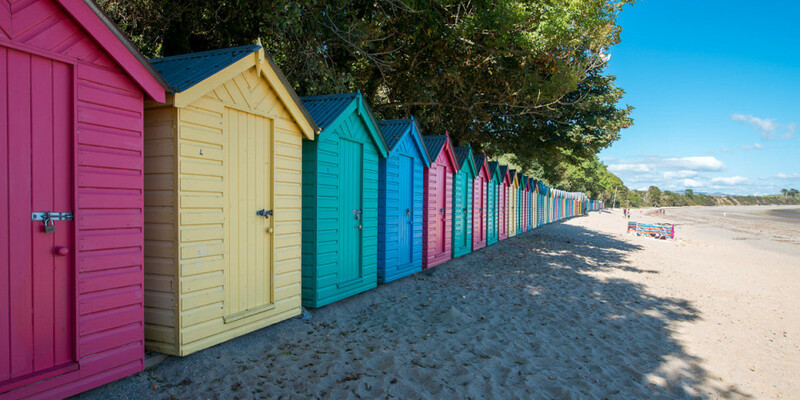 Llanbedrog is a sheltered sandy beach with colourful beach huts overlooking Cardigan bay near Pwllheli on the Llyn Peninsula. This is a lovely National Trust beach for a walk or to have a picnic on and explore with the kids in the summer. There are steps down onto the beach but if you have a pushchair then its a short walk from the car park out the back entrance and then down the tarmac road. The beach is sandy and vast with plenty of space and a nice view looking towards Snowdonia. Cable Bay is a sandy covered beach edged by cliffs and rock pools situated between the villages of Rhosneiger and Aberffraw on Anglesey. The beach is not only a popular place for fishing, surfing, swimming and canoeing but also amongst tourists including families in the warmer months. The beach is easily accessible however parking is limited. 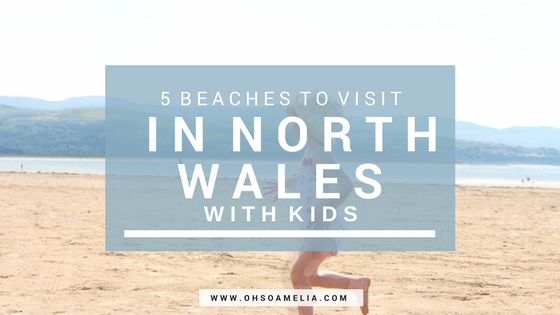 Have you visited any family friendly beaches in North Wales? Which are your favourites? Oh I need to go to Llanbedrog! I've been wanting to go to a beach with beach huts! But mind you, I hate the beach - I hate sand haha but guess not too bad this time of year when the weather is gloomy - excuse to wear my wellies haha!